Working with lower back pain adds difficulty to any job. Lumbar pain is distracting, agonizing and might completely prevent many vocational functions. Among lower back pain patient concerns, the inability to work up to one’s potential, or at all, ranks as one of the most widely held and important worries. After all, if one can not work, then one simply can not live. Work-related pain immediately brings to mind the inability to face the rigors of strenuous physical labor and this is a valid point of consideration for many lower back pain sufferers. However, statistically, the people who are most affected by work-influencing lumbar dorsalgia are those who do not even perform physical work. This includes people who must simply stand or sit for long periods of time at their jobs. In fact, the largest group of workers who are affected by lower back pain are people who have desk jobs. Many doctors are not at all surprised by this fact, since the reasons for sitting-related and standing-related pain have become ever-more clear. This report provides some important information for workers who suffer with low back pain. We will examine the reasons why pain might be work-related, as well as provide some solutions that are proven to be effective for many work-related pain syndromes. Working in pain is a terrible fate to endure. Pain is distracting, decreases productivity and gives people a bad attitude that is difficult to endure. Many workers are exhausted by the simplest of tasks during the day, since their pain already saps them of most of their energy. Workers who must perform painful activities as parts of their vocations are in the worst position, since the very tasks they must complete exacerbate their suffering exponentially. When workers can no longer work due to their pain, their trouble are multiplied yet again. In some cases, workers are forced to resign due to pain and in other cases, the pain actually gets them fired due to the inability to perform. Regardless of the cause of losing one’s job, the added pressure of lost income and worry over the future can become too much for many patients to endure. Some countries have disability coverage that helps people who can not work to provide for themselves when they are suffering problematic health crises. However, the best known of these social programs, including those in the United States, are desperately broken, allowing many undeserving people to collect huge sums of money month after month, while deserving people are denied coverage and are forced back into the workplace despite their disability and pain. Sitting is one of the biggest problems for low back pain patients and is also an inherent aspect of many vocations. If patients can not sit, then they often can not work. While sitting seems so innocent, it is amazing how many people are virtually disabled by the inability to perform this simple physical activity. Driving takes sitting-related pain one step further and adds even more stress to the mix. Many patients have difficulty driving and endure their very worst symptoms when behind the wheel of their car or truck. Standing can be a terrible ordeal for some low back pain patients and therefore, when they need to stand at work, they are in misery. 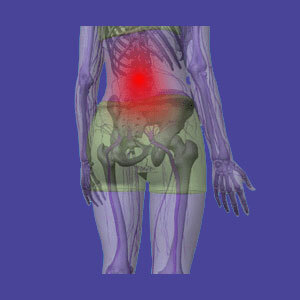 Bending and lifting are virtually universally painful for lumbar dorsalgia sufferers. If a job requires either of these tasks to be accomplished, the person will usually be forced to find new employment. Any type of difficult or repetitive physical labor might trigger low back pain. Stress is usually an inherent part of working and is also a major cause of and contributor to lumbar pain. Stress can be a direct cause of symptoms or might play a crucial role in a psychogenic primary gain syndrome involving mindbody interactions. 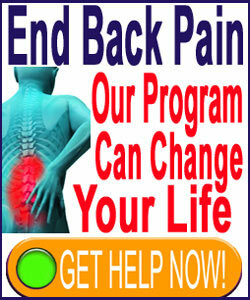 There is no easy solution for many workers who suffer from low back ache. Most will try to persevere through their suffering and take time off as needed and allowed to cope with particularly bad times of pain. Some will simply acquiesce to the reality that they need to stop work all together or at least find new vocational paths. This later prospect is never easy, particularly in older patients who have been doing the same type of work for many years already. The current trend towards working from home or becoming entrepreneurs has helped many lower back pain patients to earn a living, despite their suffering. We always advise patients to explore these options before quitting any job or seeking disability coverage. We also routinely recommend that all people who suffer work-related pain, more than specific activity-related pain, consider the very real possibility that their agony is motivated by nonstructural issues related to a larger mindbody process of causation. Work is cited as one of the most serious stresses in a person’s life and often, the mind will do whatever it takes to cope, including creating pain in the wake of continual exposure to this chronic pressure.